Lithium is the lifeblood of batteries for electric vehicles and alternative energy storage, and use of both is predicted to skyrocket in the coming years. 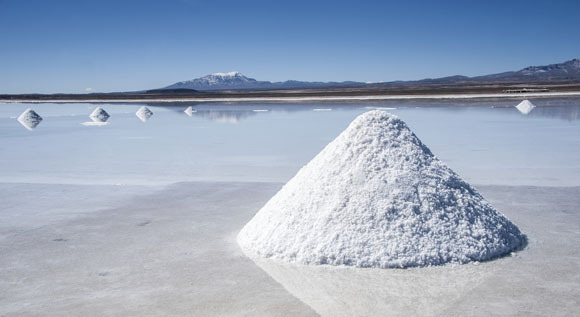 Against this backdrop, a small-cap firm that is moving rapidly with a strong partner to develop lithium projects in Argentina has caught the attention of Goldman Sachs and industry analysts. More than a million electric cars have been sold in Europe, a milestone that China reached last year. By year-end Europe is predicted to sell a cumulative total of 1.35 million electric vehicles, as growth is speeding up. EVs appear to be an unstoppable force: China has declared that by 2025, 20% of sales must be "new energy" vehicles; India has decreed that end of diesel and gas cars by 2030, and Japan has mandated that by 2030, 50-70% of vehicles sales be "next generation." All of this means more batteries and more batteries mean more lithium. 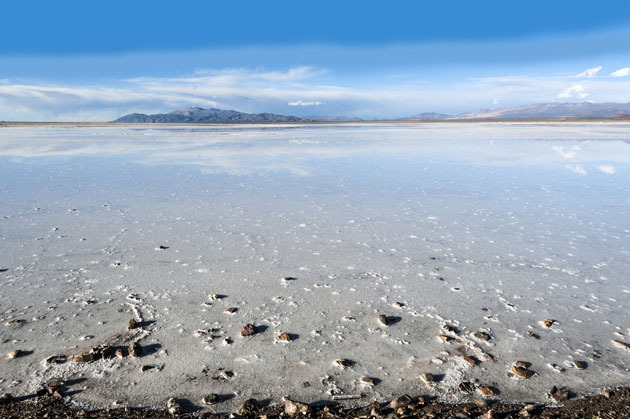 Vancouver-based Advantage Lithium Corp. (AAL:TSX.V; AVLIF:OTCQX) is positioning itself to take advantage of this burgeoning demand for lithium. The company has five properties in Argentina, with Cauchari, located in Jujuy province, serving as its flagship asset. The Cauchari-Olaroz Basin is a major lithium center and the world's second largest brine producing basin, behind the Atacama in Chile. Advantage acquired a 50% interest in the Cauchari project in 2017 and at the end of that year increased its stake to 75%. 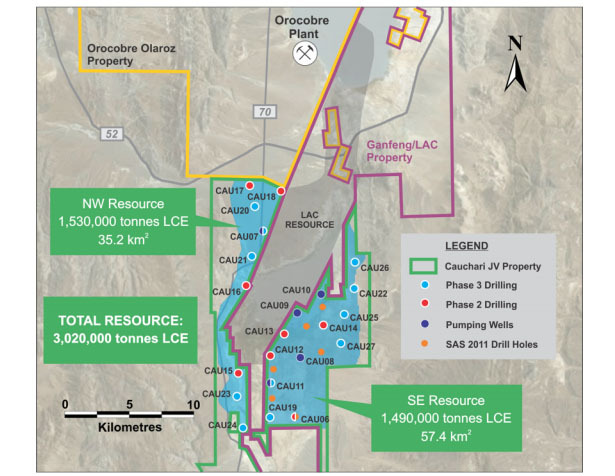 Its 25% partner, Orocobre Ltd., is a CA$912 million market-cap lithium producer that is producing lithium from the Olaroz JV brine project adjacent to Advantage's Cauchari property. 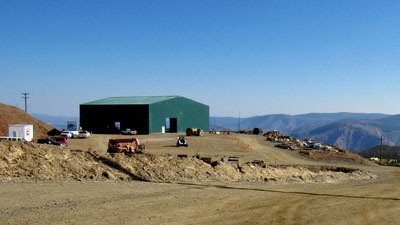 The Olaroz lithium brine production facility sits about 10 km north of Cauchari. 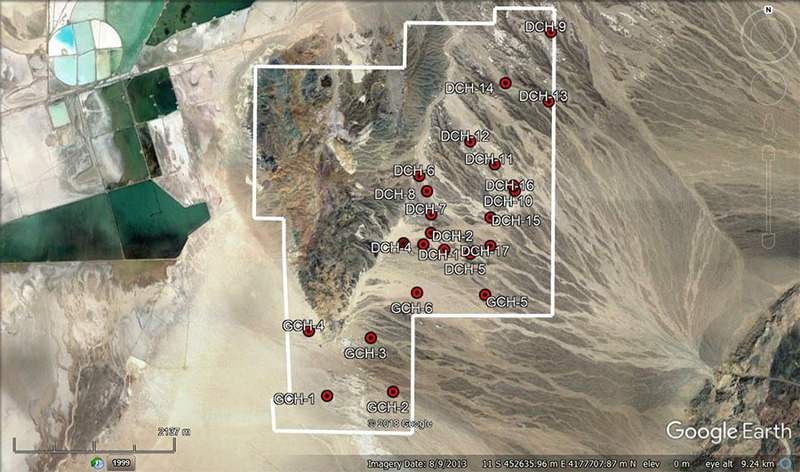 Also in Advantage's neighborhood is a Lithium Americas/Ganfeng lithium project. 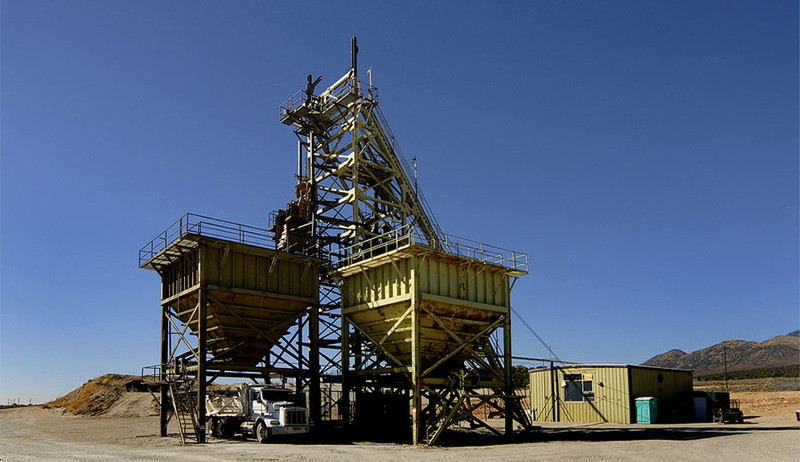 Advantage has a close relationship with Orocobre. It owns 31% of Advantage's shares and CEO Richard Seville sits on Advantage's Board of Directors. Through this partnership, Advantage has access to Orocobre's geological knowledge as well as production experience. Advantage is moving rapidly to delineate the Cauchari resource. In a year, the company has drilled 15 holes, completed pump tests on five of them, released a resource update, released a preliminary economic assessment (PEA) and initiated phase 3 drilling to expand and update the resource. The company anticipates releasing a definitive feasibility study (DFS) in early 2019. The PEA, released in August, based on 20,000-tpd standalone plant, estimates a US$827 million after-tax NPV 8% discount, an internal rate of return of 24.3%, and a pre-production capex of US$401 million. Advantage has engaged Goldman Sachs to evaluate strategic partnerships and financing alternatives for its portion of the capex for the Cauchari JV. Advantage CEO David Sidoo told Streetwise Reports, "Goldman Sachs has been involved with major battery and lithium manufacturers in Asia, including CATL (Contemporary Amperex Technology Ltd.), Tianqi Lithium Corp. and Ganfeng Lithium Co."
Sidoo noted that Goldman Sachs was interested in a small-cap like themselves "because of the asset and the PEA; the firm is confident that it can introduce us to the right strategic partner." The strategic partner, according to Sidoo, would likely do two things: provide Advantage with some equity at a premium to the market to take a small piece of Advantage�10 to 15%�to provide the company with the $400 million project funding needed to build the facility that would produce 20,000 tons of lithium carbonate annually for the next 25 years. Second, a partner could eventually have the appetite to buy the company out or consolidate the entire basin, Sidoo noted. Advantage's position has also caught the attention of a number of analysts. Matthew O'Keefe, an analyst with Cantor Fitzgerald, commented on Sept. 18 that Cauchari is a "large resource with upside," the phase 3 drilling has the potential to add 1.4�3.0 Mt LCE. The current resource is 3.0 Mt LCE. He also sees the partnership with Orocobre as a plus, as the neighboring producer can provide Advantage "the benefit of its experience and access to its development team, which should allow it to fast track Cauchari to production." Cantor has a Buy rating and CA$1.50 target price on the firm. Cormark Securities initiated coverage on Advantage on May 30. Analyst MacMurray Whale noted, "Over the past year, Advantage's flagship project, Cauchari, has rapidly evolved with drilling, pump tests and other development work that has led to the release of an updated resource estimate. . . "Drilling over two phases, in the NW and SE sectors, has confirmed high grades and good chemistry to greater depths than previously discovered elsewhere in the basin. Rigs have been mobilized to explore beyond 400 m, suggesting that Cauchari could host a much larger resource." Cormark has a Buy recommendation and a target price of CA$1.85. David Talbot of Eight Capital on May 29 commented that Galaxy Resources' sale of non-core assets to South Korea's POSCO "underscores the value of lithium deposits to end-users. . .We believe this news has potential to directly impact the value given by investors to Advantage Lithium. . .We reiterate Advantage Lithium with a BUY and a C$2.50/sh target price based on a recent resource update of 3.0 MM t LCE, and our new exploration target of 4.4 MM t LCE (+50%) as Phase III looks to target depths of 450m to 600m." National Bank of Canada initiated coverage of Advantage on March 26. Analyst Rupert Merer observed that Advantage's "strategic relationship with Orocobre should reduce any future exploration, operating and construction risks." He also noted that "relative to its peers, AAL is closer to infrastructure and two existing lithium operations that include large and well capitalized partners. Some consolidation of the three unique assets with shared boundaries could make sense." National Bank of Canada has an Outperform rating and a 12-month target of CA$1.90. 2) The following companies mentioned in this article are billboard sponsors of Streetwise Reports: Advantage Lithium. Click here for important disclosures about sponsor fees. An affiliate of Streetwise Reports is conducting a digital media marketing campaign for this article on behalf of Advantage Lithium. Please click here for more information. 5) From time to time, Streetwise Reports LLC and its directors, officers, employees or members of their families, as well as persons interviewed for articles and interviews on the site, may have a long or short position in securities mentioned. Directors, officers, employees or members of their immediate families are prohibited from making purchases and/or sales of those securities in the open market or otherwise from the time of the interview or the decision to write an article, until one week after the publication of the interview or article. As of the date of this article, officers and/or employees of Streetwise Reports LLC (including members of their household) own securities of Advantage Lithium, a company mentioned in this article. Potential conflicts of interest: The author of this report is compensated based in part on the overall revenues of Cantor, a portion of which are generated by investment banking activities. Cantor may have had, or seek to have, an investment banking relationship with companies mentioned in this report. Cantor and/or its officers, directors and employees may from time to time acquire, hold or sell securities mentioned herein as principal or agent. Although Cantor makes every effort possible to avoid conflicts of interest, readers should assume that a conflict might exist, and therefore not rely solely on this report when evaluating whether or not to buy or sell the securities of subject companies. Cantor has not provided investment banking services or received investment banking related compensation from Advantage Lithium Corp. within the past 12 months. The analysts responsible for this research report do not have, either directly or indirectly, a long or short position in the shares or options of Advantage Lithium Corp. The analyst responsible for this report has visited the material operations of Advantage Lithium Corp. No payment or reimbursement was received for related travel costs. The research analyst whose name appears on this report hereby certifies that the opinions and recommendations expressed herein accurately reflect his personal views about the securities, issuers or industries discussed herein. Analyst Certification: I, MacMurray Whale, hereby certify that the views expressed in this research report accurately reflect our personal views about the subject company(ies) and its (their) securities. We also certify that we have not been, and will not be receiving direct or indirect compensation in exchange for expressing the specific recommendation(s) in this report. Disclosure Statements and Dissemination Policies: A full list of our disclosure statements as well as our research dissemination policies and procedures can be found on our website. � they are unaware of any other potential conflicts of interest. Research Analysts � The Research Analyst(s) who prepare these reports certify that their respective report accurately reflects his or her personal opinion and that no part of his/her compensation was, is, or will be directly or indirectly related to the specific recommendations or views as to the securities or companies. NBF compensates its Research Analysts from a variety of sources. The Research Department is a cost centre and is funded by the business activities of NBF including, Institutional Equity Sales and Trading, Retail Sales, the correspondent clearing business, and Corporate and Investment Banking. Since the revenues from these businesses vary, the funds for research compensation vary. No one business line has a greater influence than any other for Research Analyst compensation. Click on this link to see the company specific disclosures. A redacted draft version of this report has been shown to the issuer for fact checking purposes and changes may have been made to the report before publication. The analyst attended a site visit to Jujuy, Argentina on November 8, 2017. A portion of the analyst's travel expenses were paid for by the issuer. 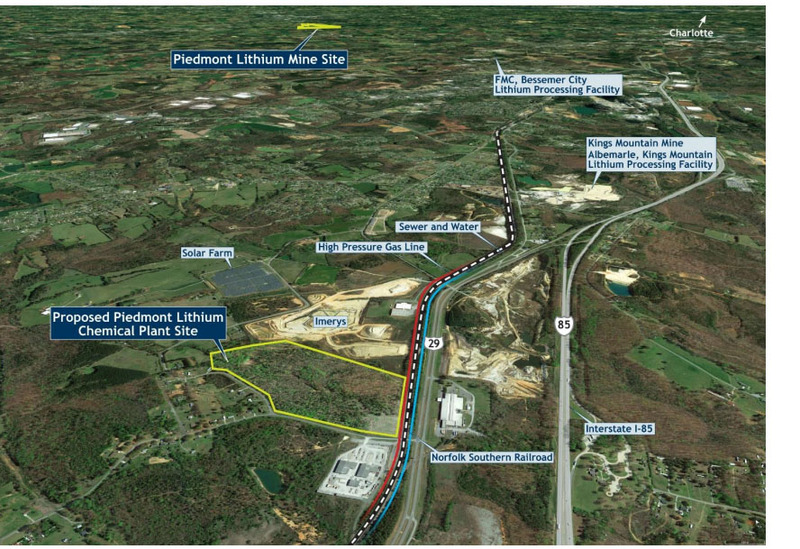 As lithium is declared a "critical metal" in the U.S., a young, NASDAQ-listed company is forging ahead to bring a lithium deposit into production in North Carolina. This company released initial assays from its new properties. 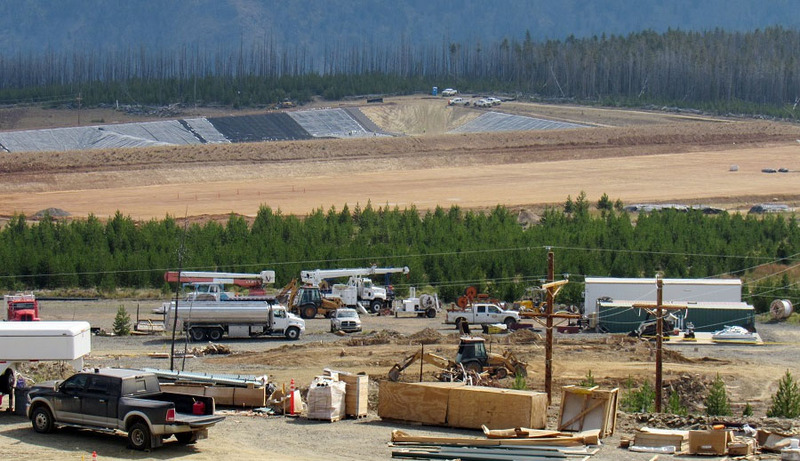 This company provided an update on its own test mining and on federal governmental actions. Peter Epstein of Epstein Research discusses whether the lithium market is oversold and profiles one lithium company that he follows. The report provides support to proceed with development plans. The close proximity of two properties offers promise of synergies for these firms. Two analysts relayed the relevant background of the newly appointed executive and shared their thoughts about the timing of the replacement. The company outlined the next steps for its lithium operation. A Cantor Fitzgerald note reviewed new findings from this joint venture asset in Argentina.